This story was a privilege to read–a true gift. Thank you, Kate. Right off, the floor fell away and I was adrift–no stopping, no turning back. It was like walking through a doorway and it was forty years ago. This gripping story of personal struggle is set against the turbulence of the seventies. But this is no Love In. This is hard-boiled, in-your-face writing, and Kate Campbell pulls no punches. It reads like memoir, but really it is fiction shot through with the stinging clarity of truth. If you lived through the era, you’ll recognize the characters–adrift on the emotional roller coaster that racked and paralyzed the nation. This is the story of all of us–those who “made” it, those who fell and those struggling today with truth and justice in their search for the American Way. A Peek Behind the Curtain—A Journey of Discovery! Ever wanted to be the fly on the wall? Here’s your chance. 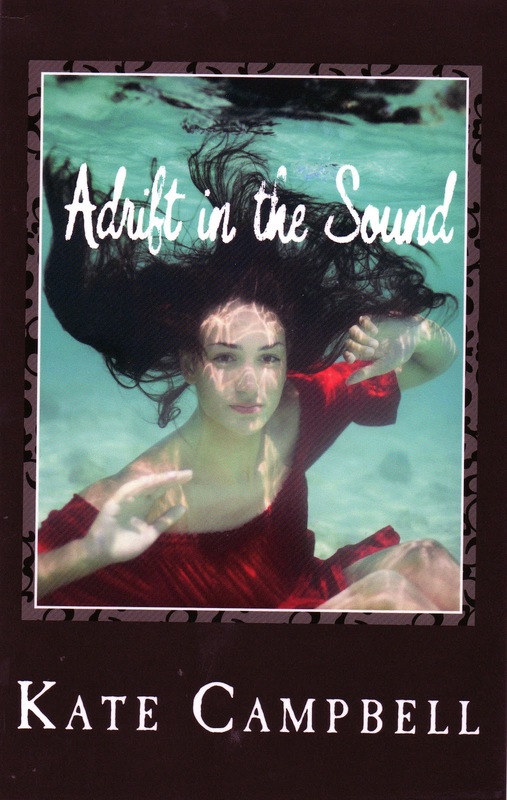 Of course, immediately after finishing Adrift, I jumped Between the Sheets, as it were, for an opportunity to find out just how this amazing story evolved into the light of day. The collection of emails between writer and editor discloses more than I’d anticipated. You’ll be privy to a candid, honest discussion, where lives (albeit literary) hang in the balance. Thomas is a wonderful editor and spirit guide. We would all be fortunate to have him covering our back. 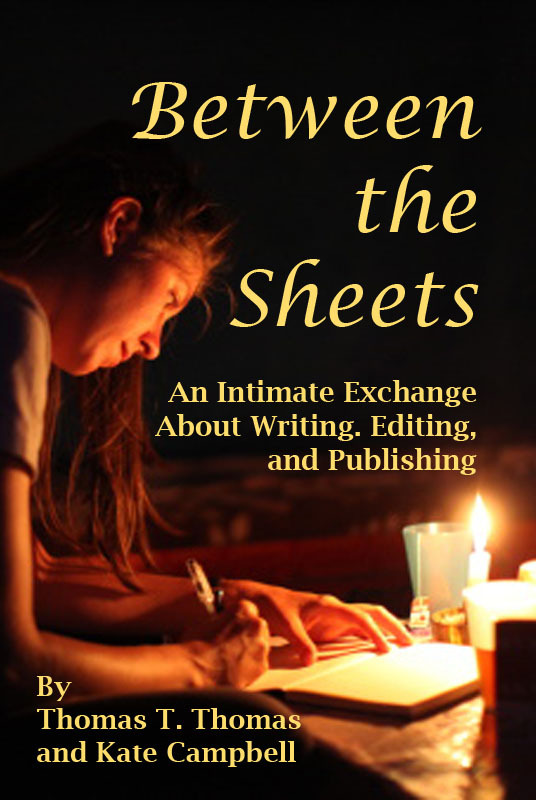 Between the Sheetsis a must-read for writing students and seasoned writers, alike. Writing is a journey of discovery. While yearning for the end—the publishing of our new baby—we bask in the process along the way—whiling away in solitary hours writing, editing, turning over stones, trying on hats, anticipating the next surprise waiting around the corner. Conjuring a story may not be magic, but we certainly hope the final result will be. 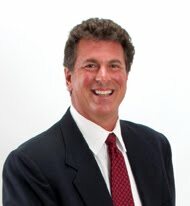 Look for a Word Garden review from me of Tom’s forthcoming novel: The Professor’s Mistress, due soon in ebook format.